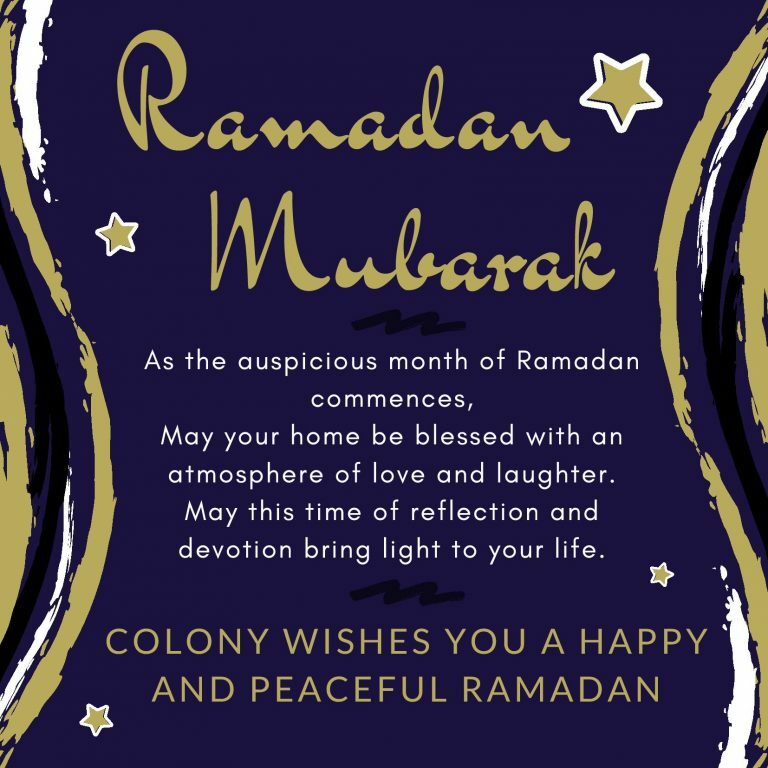 We at Colony would like to wish our fellow Muslim friends a wonderful and blessed Ramadan! As the sacred month of Ramadan disembarks, the practice of self-discipline in terms of not only food but also one’s thoughts, behavior, and language also begins. It is a period for individuals to be repentant, generous and reflective in their life. 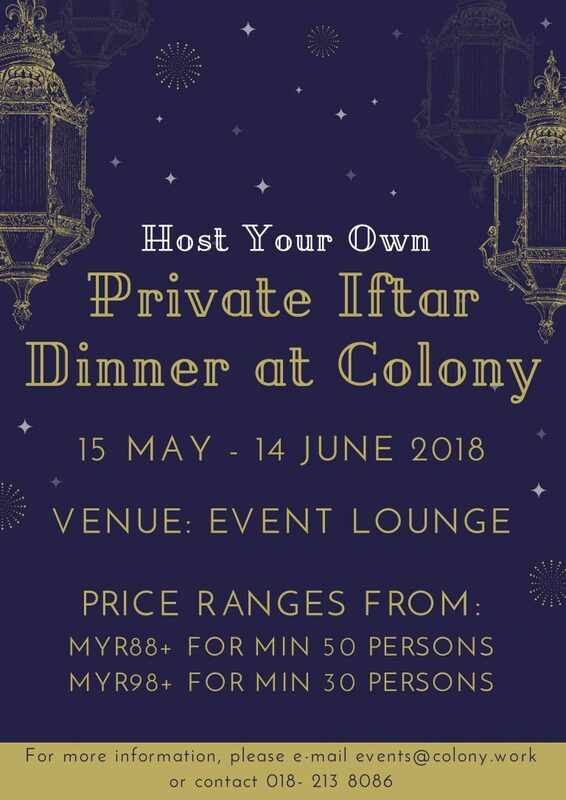 During this fasting month, Colony is also organizing a Ramadan buffet starting from 15th of May until 14th of June. Further details are available in the image shown below. Happy Ramadan and may you and your loved ones enjoy peace and happiness in this holy month.